Free button. red round sticker. metallic icon with gradient. Free Button. Red Round Sticker. Download free button. Red round sticker. Metallic icon with gradient. 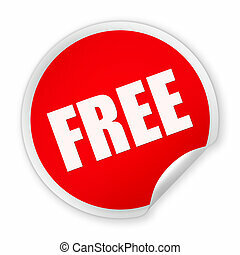 Download free button. Red round sticker. Metallic icon with gradient. Isolated on white. Free button. Vector red round sticker. Metallic icon with gradient. Download free button. Vector red round sticker. Metallic icon with gradient. Download free button. Vector red round sticker. Metallic icon with gradient. Isolated on white. Download button. Red round sticker. Metallic icon with gradient. Free button. Green round sticker. Metallic icon with gradient. Power button. Red round sticker. Metallic icon with gradient. Sale button. Red round sticker. Metallic icon with gradient. Power button. Vector red round sticker. Metallic icon with gradient. Heart button. Red round love sticker. Metallic icon with gradient. No button. Red round sticker. Realistic metallic icon with gradient. Isolated. Sos button. Red round sticker. Metallic icon with gradient. Isolated on white. Download button. Red round sticker. Metallic icon with arrow. Isolated on white. Hand stop button. Red round sticker. Metallic icon with gradient.